In case you haven’t noticed, there is no giveaway. I do not have a book in this contest. 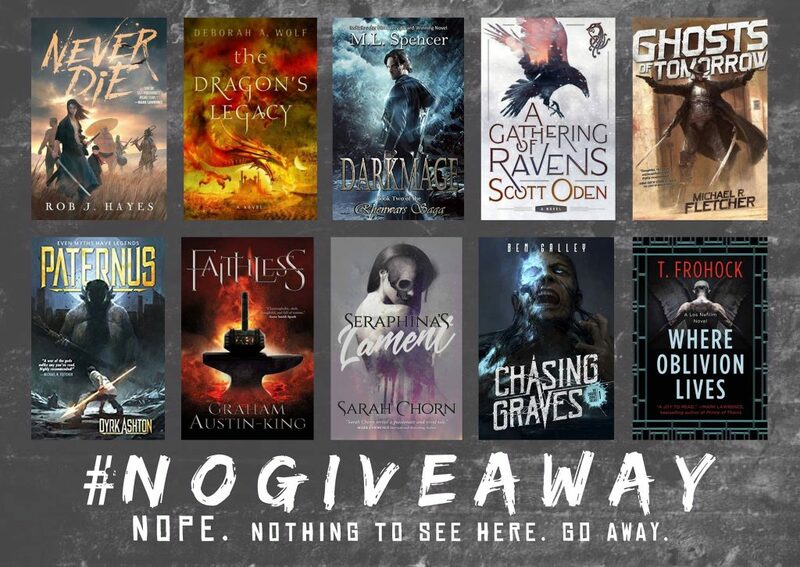 Ten authors are not giving away ten books to one lucky winner, who will also win a #nocabal shirt. Three runners-up will also not win all ten books in ebook format. If you want to enter (or not) go here. This contest is open until March 30. I like not winning stuff.